In our marketplace you can build any number of Clickworker teams for yourself, which can then either be chosen or excluded during the job creation process. Usage of Expert Teams – Logically a team of Clickworkers can be put together whose previous work you have been especially pleased with. This allows you to direct the work upcoming jobs specifically to the Clickworkers on your expert team. In this way you can better guide the results and help align them with your expectations. 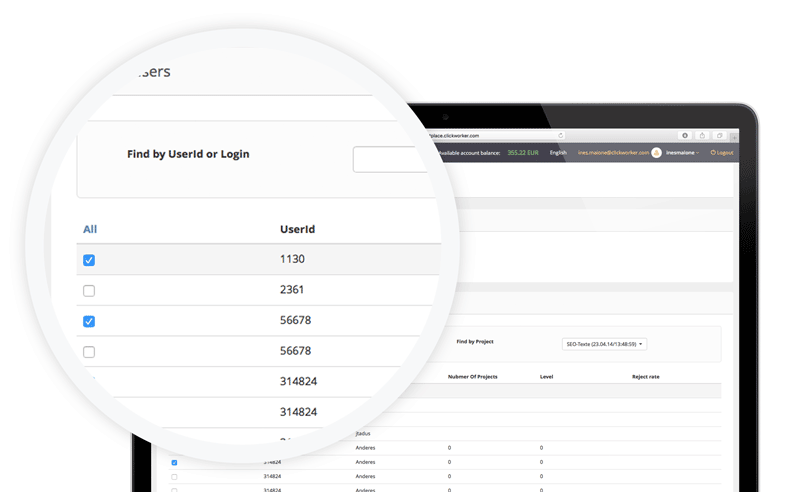 Usage of Blacklists – On the other hand a team of Clickworkers can be assembled that you wish to exclude from future tasks, and thereby define as a blacklist. This is especially useful when you personally weren’t as pleased with the results, for example their text style, produced by these Clickworkers. But it also makes sense to create a blacklist of Clickworkers for subsequent jobs like surveys, to prevent the same workers from taking part in the survey again. In the following, we explain step by step to you how the building of teams works. 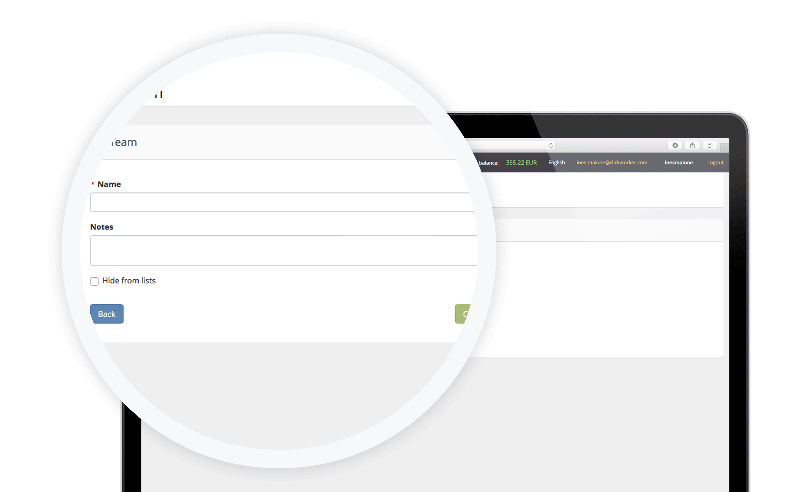 Log into our marketplace with your customer access. 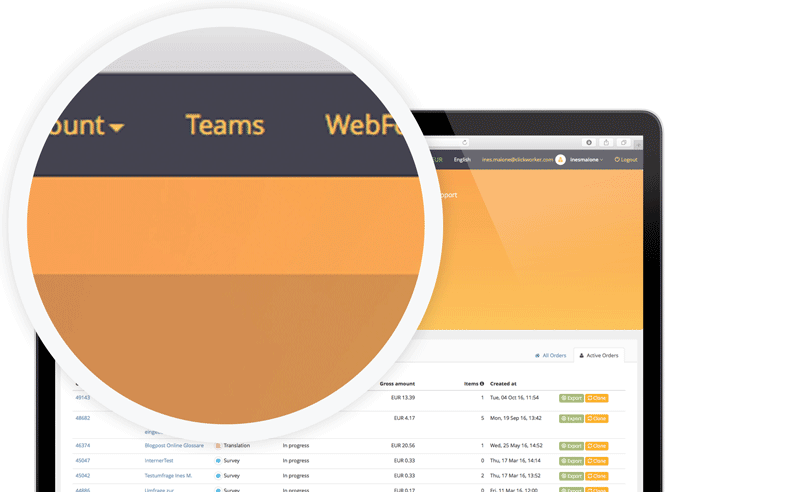 Choose the menu option “Teams” at the very top of the page. Click on the button: “New Team”. 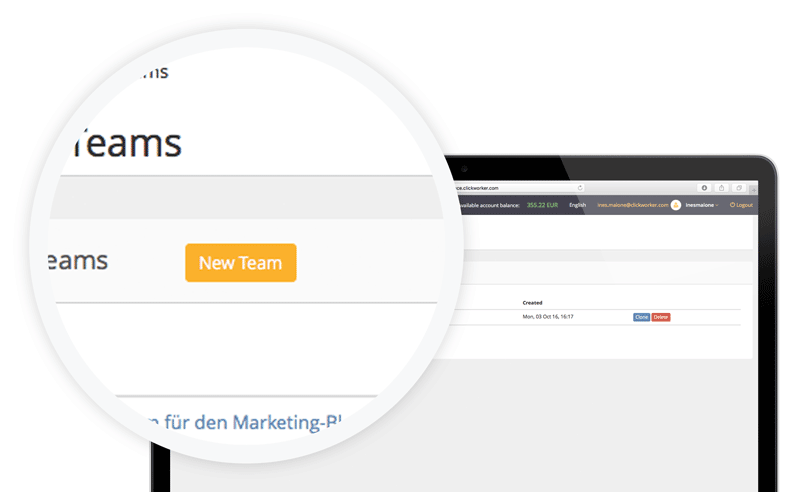 4)	Give your team a name, include a note for yourself about the team if desired, and click on the button “Create Team”. Choose the Clickworkers you want to have on the team. 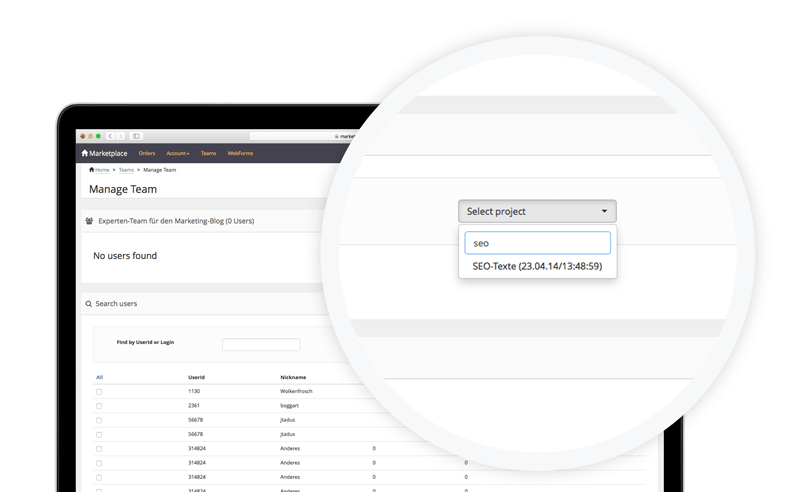 Another option is to call up Clickworkers who have participated in your previous projects. Here you can select either single or all Clickworker to be added to the team. Both fields can be used respectively as search windows for certain Clickworkers or projects. Put a checkmark next to the Clickworkers that you want to include in the team, and then click on the button “Add selected”. The team has now been created. Clickworkers can be removed from the team, new members added, and the team name or notes edited at will. 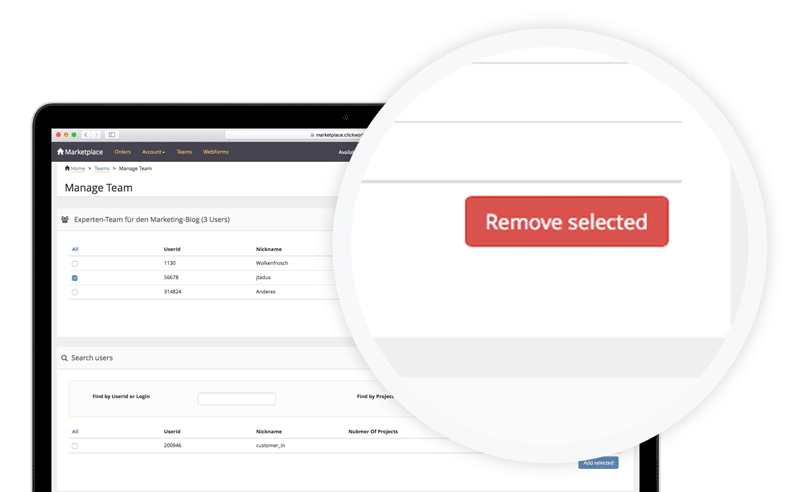 With Blacklists, you can also specify whether these should be used automatically for each of your orders. This option excludes the listed Clickworkers from participating in your orders completely. To do this, simply place a check mark next to “Default blacklist” under the option “Edit”. Dieser Artikel wurde am 10.October 2016 von Ines geschrieben.